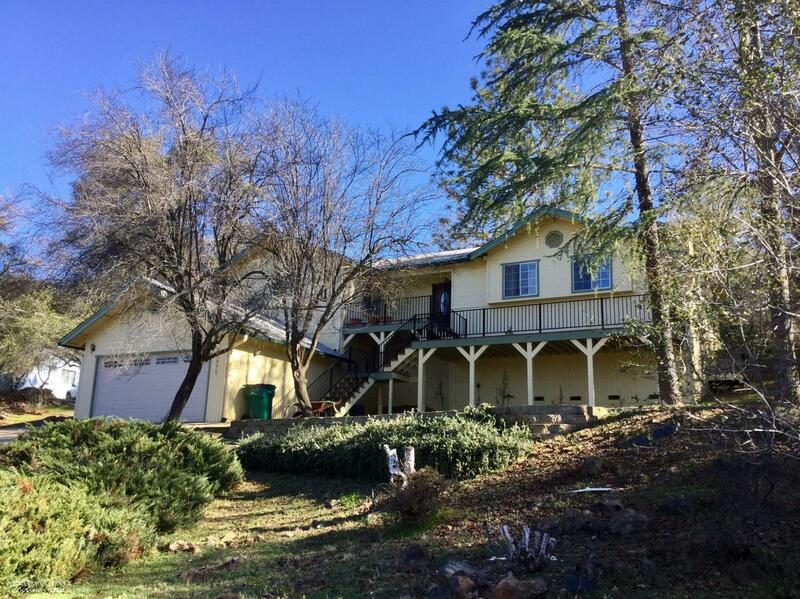 All living on the main level in this spacious Alta Sierra home with easy commuting access to Hwy 49. Open and spacious floor plan ; laminate flooring, large kitchen for entertaining, dining and living room combination with access to the private, rear patio creates an ease of living with great flow. Only steps the owners would use daily are from the garage to the kitchen with a motorized chair already in place if needed. Guest bedrooms offer garden windows with the master having private access onto the patio to enjoy the private back yard. Composition decking greets you at the entry with ample seating area to take in local views and enjoy the beautiful sunsets. Garage offers a large storage/workshop room plus additional workshop space in the garage itself. Comfortable home and a ideal floorpan that fits perfectly with a family or retirees.